Divorce and Separation remain among the most hurtful and devastating experiences in life and celebrities are not spared. Divorce and separation may almost seem alike to some people, but there’s a clear difference as to what these two words mean. Divorce means the legal dissolution or termination of a marriage union by a court or other competent body, while separation may mean the state of moving or being moved apart. Sometimes most people who are separated eventually end up being divorced. Whether divorce or separation, the trauma can be really devastating. This sounds like overstating the obvious and so most people are likely to wave it aside. However, it is important to lay emphasis on it as it’s not just the couple that gets devastated, but the kids involved too. 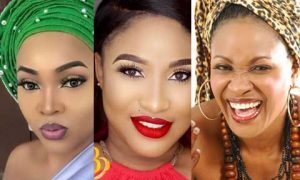 A deep look at celebrities like, Mercy Aigbe and Tonto Dikeh, and how they poured out their emotions on social media are perfect examples. The many negative comments that were hurled at them for not being able to manage their homes alone are enough to send one to an early grave. They are the only ones that can tell how much pain and hurt they went through. Tonto Dikeh danced the Davidic dance a few days ago after her marriage was finally annulled. It may seem like a victory. Truth, however is that one cannot live in self-denial for a very long time because eventually, memories will catch up. The thought of you not having what you used to have anymore is enough to make you depressed and embittered. Other perfect examples are, Tunji-Tee-Billz Balogun, Tiwa Savage’s husband who almost committed suicide when their marriage almost crashed. The news of the suicidal thoughts Ubi Franklin, the estranged husband of Lilian Esoro is another example. Why go through the stress? It might be worth it to look before you leap into marriage. When two elephants fight, it is the grass that suffers. The kids in a marriage going through marital crisis are always at the receiving end. They suffer from lack of attention from both parents. The care, love and support they require will be missing. They may, therefore start sharing their problems with bad friends, and these friends may advise them wrongly. They may then grow up to be a disaster to themselves, their parents and the society at large. Divorce and separation are too much a bitter pill for kids to swallow. A perfect example is Mitchell Gentry, Mercy Aigbe’s daughter. She shared her experience on the social media page about how she was feeling; she said she felt embarrassed and humiliated whenever she saw negative comments about her parents and especially about her mum, adding that she was too young to experience such trauma. She said she cried bitterly all the time she saw such hurtful, demeaning comments about her parents. This anger in these kids often translate into the transfer of aggression. This is because they might be bullying their friends in school who may mock them due to their parents’ crisis. As earlier stated, marriage is an exciting experience where a majority would want to share in it, however, you might want to double-check on your emotions and be sure that it is what you really want to do so that you don’t put your kids at the receiving end of the hurt and pain and also pay the price of a mistake that could be avoided.